Effective States » Women and constitutional reform: is a seat at the table enough? Women and constitutional reform: is a seat at the table enough? Georgina Waylen looks at the role women play in transitions to democracy and the end of conflict, describing the formal and informal ways in which women can and do engage in negotiations and political settlements. She points out these notable successes, whilst at the same time arguing that international actors have a role to play in strengthening opportunities for participation in this area. This blog first appeared on the Overseas Development Institute’s Development Progress women’s empowerment blog series in May 2014. It has long been recognised that women – not just agitating from the outside but on the inside too – must be part of the negotiations and political settlements that accompany transitions to democracy and the end of conflict. As long ago as 2000, in the landmark UN Security Council Resolution 1325, this was embodied in demands for women’s greater participation in peace negotiations and settlements. These crucial processes often design new institutional frameworks, constitutions, electoral and legal systems. But women are often absent at key moments or present in very small numbers, and settlements have often ignored gender equity concerns. Of course, transitions to democracy, for example in Brazil, Chile and South Africa, have shown us that gender activists on both the inside and the outside can achieve significant gains. They have often organised effectively early on during these processes, by overcoming significant divisions, setting common agendas and working out effective strategies. Sometimes, they have formed broad alliances and intervened in the full range of political processes with platforms that have united different groups of women, yielding important results. But it has become clear from our research on institutional change that, for an even greater impact on outcomes, we need to open up the ‘black box’ of the processes of negotiation and settlement surrounding institutional creation and design. This will allow us to understand not just the formal, but also the informal dimensions that have an impact on participants’ strategies and tactics and on outcomes. Women may for example be present in the larger-scale formal processes and in bodies like plenaries, but these sometimes do little more than rubber-stamp decisions taken elsewhere in less open (and sometimes more informal) formats, where women’s voices may still be absent. Several factors appear to affect the extent to which women actors can overcome the challenges and take advantage of the available opportunities to make constitutional processes more gender responsive. Formal rules need to be designed to promote women’s participation. These can facilitate the presence of gender actors in different ways depending on the context – whether as a separate women’s party, as happened in Northern Ireland, or as part of all the delegations, as in South Africa. But women also need to be present at all levels – including top decision-making ones (for example as chairs of committees) – and in all roles – not just in negotiating teams, but also in the administrative, legal and ‘expert’ technical positions that often draft agreements and advise on settlements. Women also have to be there early on to shape negotiations’ structure, purpose and agenda. Leadership matters too. Key gender actors/leaders are needed to develop strategic thinking on goals, tactics and alliances. Individual women (and men), not just gender actors, can make an important difference. Once there, gender actors often face severe challenges – whether it is the style of the negotiations (horse trading and the brokering of backroom deals) or the hostility or indifference of different groupings, such as political parties, to gender actors. Gender actors can also be at a disadvantage if they lack the technical and legal skills often required in complex negotiations. Informal networks, often male dominated and sometimes based on longstanding as well as more recently formed connections, can play key roles in the secret processes that often accompany the formal structures. The South African negotiations, often seen as relatively gender friendly and open, were described by one observer commenting in a newspaper as ‘probably the ultimate boy’s game’, characterised by ‘male bonding, back slapping and locker room tactics’ (Wessels, 1994). These male networks, based on trust, bonding and ‘homosocial capital’ (Bjarnegård, 2013) (exemplified in late night drinking sessions and other forms of social activity, like sport), can be hard for women actors to access. Feminist scholars are increasingly trying to untangle the informal processes (Waylen, 2014) that form such an important part of hidden life of institutions. But there are also many examples of women actors’ effective use of their own formal and informal networks. Whether, as in the South African case, they are a relatively informal multiparty women’s caucus within the negotiations themselves or a more formally constituted Women’s National Coalition both inside and outside of it – these networks have contributed significantly to positive outcomes like the new South African Constitution. Helping ensure gender-friendly outcomes from constitutional negotiations requires a range of strategies appropriate to the particular opportunities and constraints – both formal and informal – in each context. International actors can play a role: first by supporting gender activists both inside and outside these processes – for example by providing resources, both financial and technical (such as helping with knowledge exchange between actors) independent of any other support being provided. And second by pressuring other actors, such as political parties, to ensure gender actors are present and structures, both formal and informal, facilitate their effective participation. Georgina Waylen is Professor of Politics at the University of Manchester. She has researched and published widely on various aspects of gender and politics, particularly transitions to democracy and political economy. She is the author of Gender in Third World Politics (Lynn Rienner 1996), and Engendering Transitions: Women’s Mobilization, Institutions and Gender Outcomes (Oxford University Press 2007), which was awarded the Victoria Schuck Prize by the APSA in 2008. 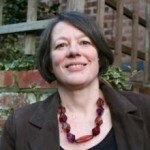 She is also the co-editor of five edited collections, including The Oxford Handbook on Gender and Politics (Oxford University Press 2013) and New Frontiers in Feminist Political Economy (Routledge 2013). Between 2012 and 2017 she is leading a five-year European Research Council-funded project entitled ‘Understanding Institutional Change: A Gender Perspective’. Elin Bjarnegård (2013). Gender, Informal Institutions and Political Recruitment: Explaining Male Dominance in Parliamentary Representation (Basingstoke, UK: Palgrave Macmillan, 2013). G. Waylen (2014), ‘Informal institutions, institutional change, and gender equality’, Political Research Quarterly, 67(1), March, 212-223. E. Wessels (1994), ‘Lost laundry in the boys’ locker room’, The Weekly Mail and Guardian [http://mg.co.za/], 30 July-5 August, p.31.